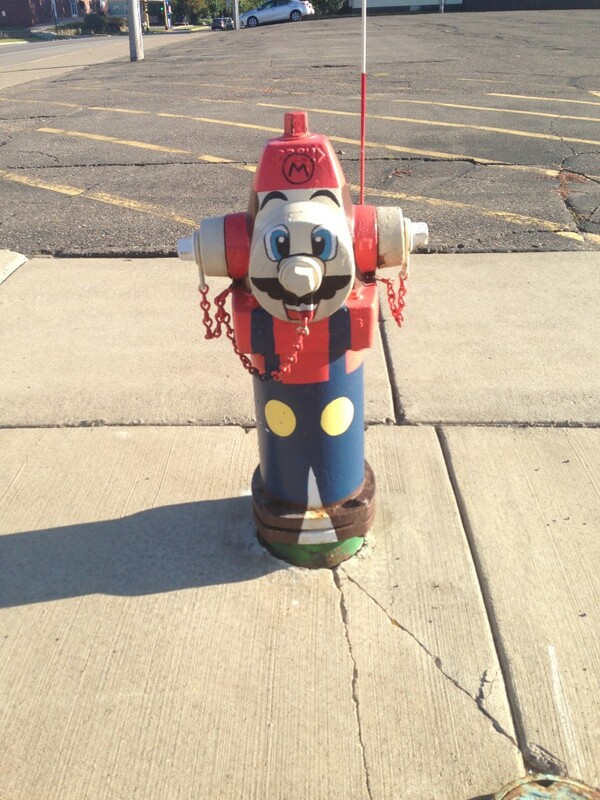 Milaca, MN, is found north of the twin cities about 45 minutes just south of Lake Mille Lacs. It’s a charming little place, maybe around 3,000 people or so. The Rum River meanders just outside of town and the Municipal City Hall is a colorful stone building. 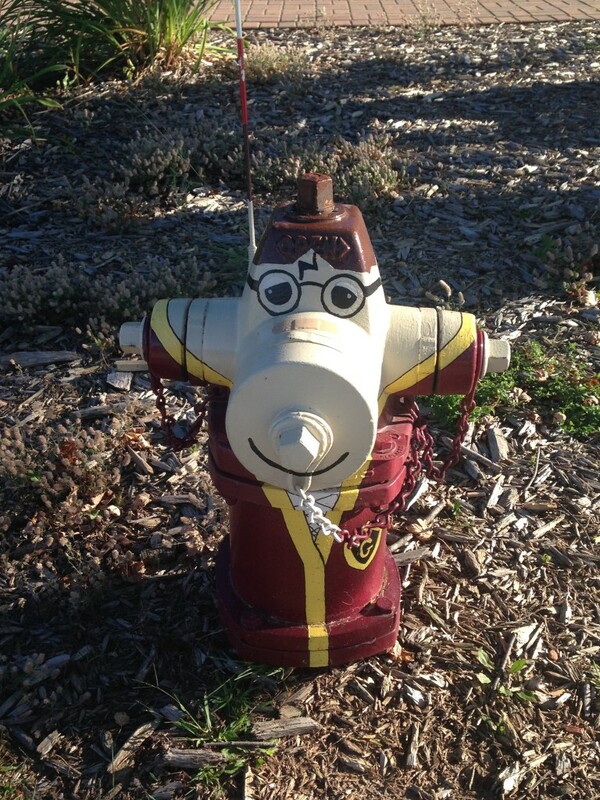 But what makes this town a great place to swing through is its colorful fire hydrants. 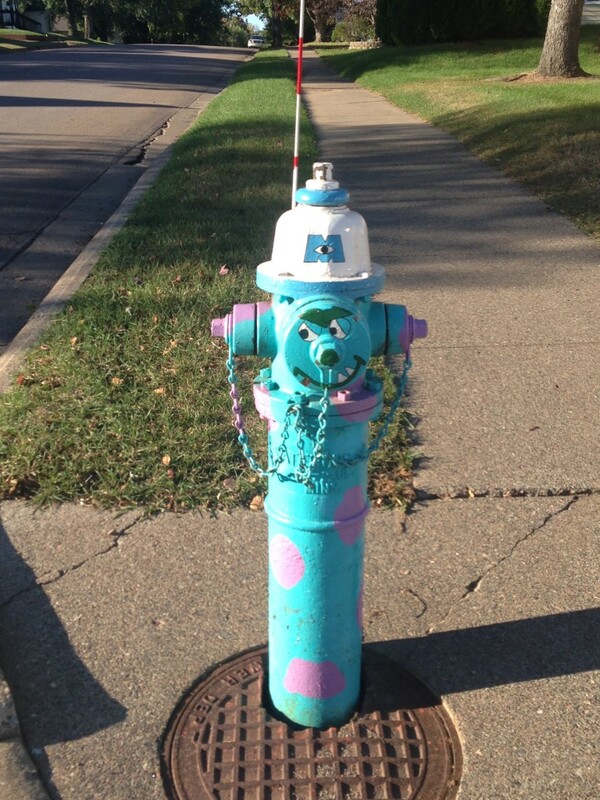 There are about 35 of them to find around town, each with a fun design. 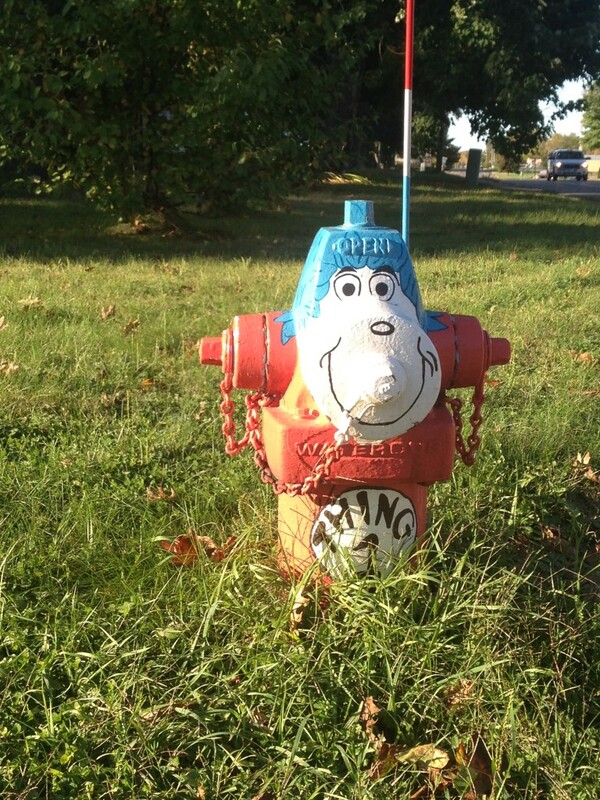 The story behind the hydrants is a pretty simple tale. 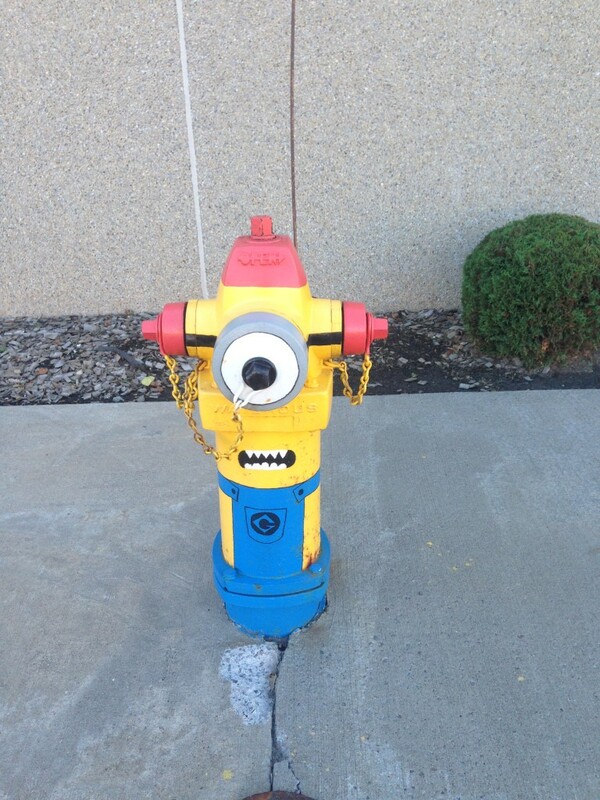 Around 2014, city officials planned to pressure wash and refresh many of the hydrants’ peeling, faded paint. 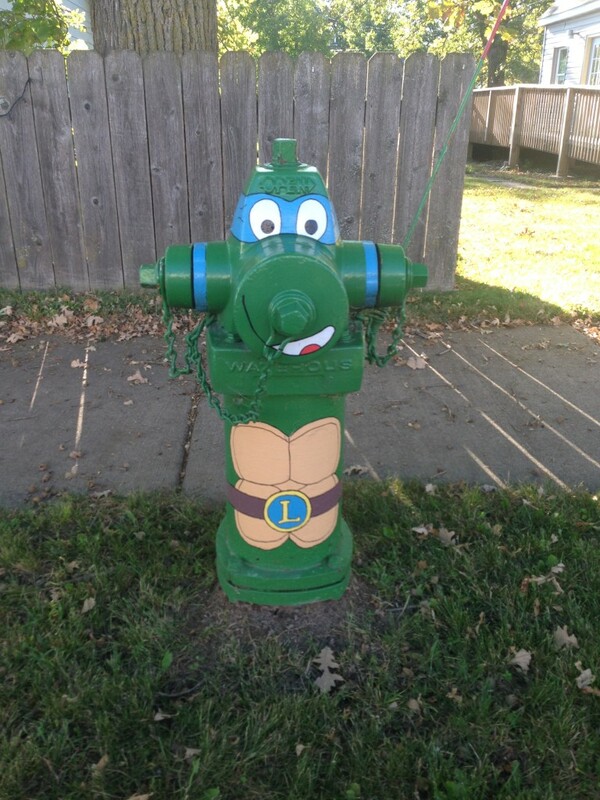 The local VFW had an idea to decorate some hydrants with emblems of the five branches of the Armed Forces. 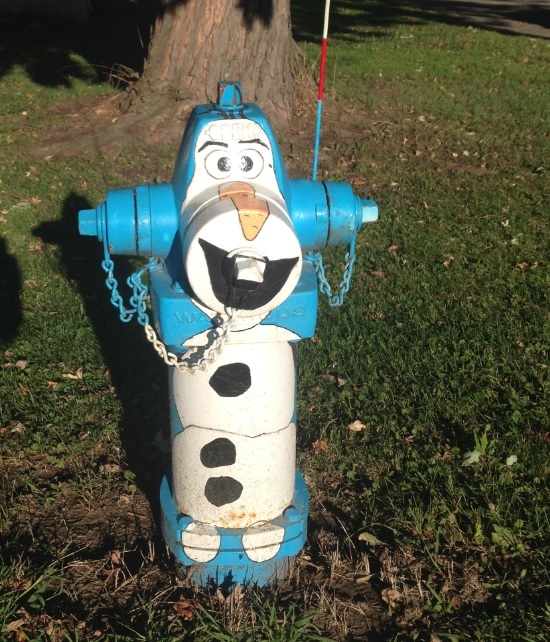 The idea grew from there, with the city then asking the public for assistance in submitting ideas for hydrants beyond that. 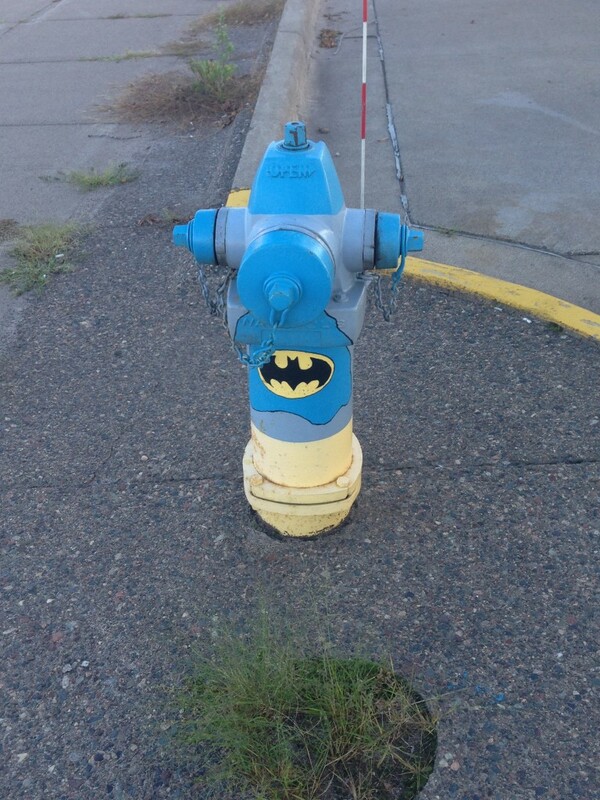 And with the city’s approval, around 35 hydrants in town are designed as recognizable icons like Mickey Mouse, Harry Potter, Batman, or a Ninja Turtle. It’s a great way to spend a little time checking out the town. 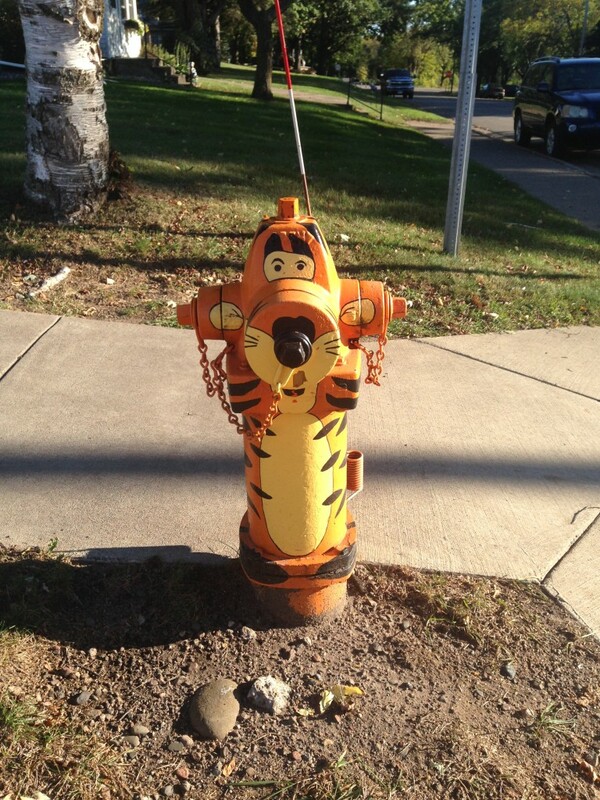 Kids will undoubtedly enjoy trying to find each one and identifying what characters they are. It’s a scavenger hunt of sorts, a real life version of Pokemon Go. The city even has a downloadable map on their website to assist you. Happy hunting! While in the area: The Hairy Mosquito is a fun tourist attraction just north of town, or keep heading north to check out the big walleye at the touristy Mille Lacs area. 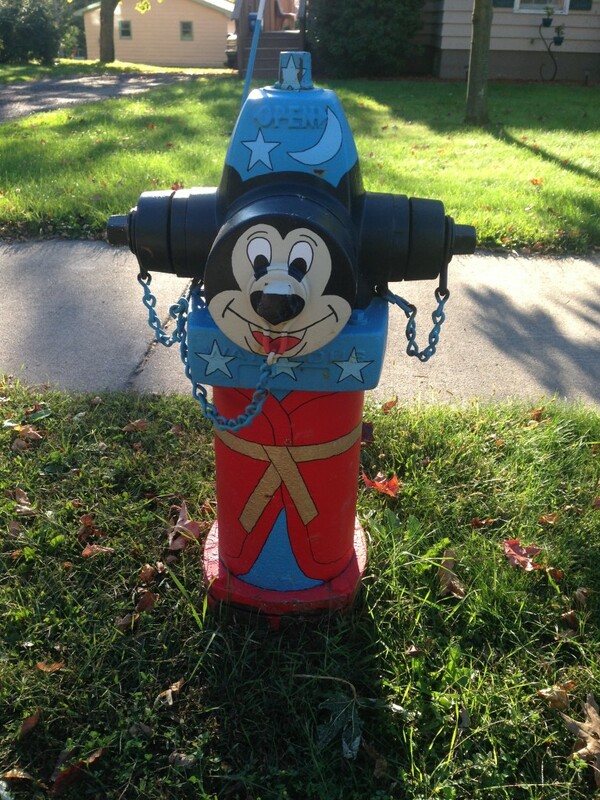 LOVED these–until a few years ago Frazee, MN had all the city garbage receptacles painted in various things!